Archive from category "Head and neck"
The spine is injured by a rapid movement. Symptoms can appear immediately after the injury, but more often these symptoms appear after few days. The most common symptoms are cervical spine pain (the pain later continues to the shoulders), headache and sensory disorder (tingling, pins and needles) in upper or lower limb. The neck pain when bending forward, the pain shooting below the shoulder-blade toward the neck. 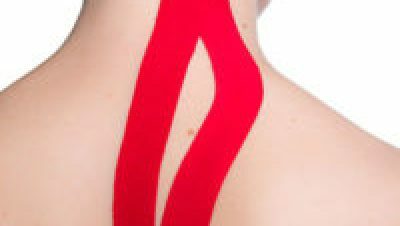 The pain when turning the neck to one side or another is appearing after overloading shoulder or upper limb muscles. 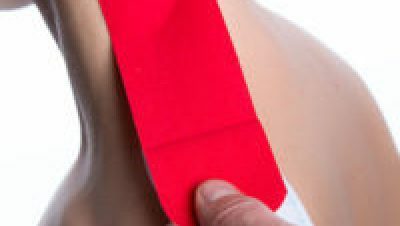 If the pain affects the shoulder, it is recommended to tape the shoulder as well. The headache and the neck pain along the cervical spine, that can be cause by overloading of the back-neck muscles, stiff neckline while working on computer, driving or another ordinary factor.